Here you can read about how to play the games on the GamePoint platform and the certificate for our Random Number Generator, which generates the Bingo balls and cards. For a guide on how to use the individual games, the game objective and the basic rules you have to click on the specific gamefolder and read the instructions. To ensure the games and the chat remain fun and pleasant we advise everyone to play moderately. After all it is just a game and you should remember that you are fully responsible for your own actions on GamePoint. Deposit on a moderate level and try a different game or change your game tactics when you're having an unlucky day. When playing games there are always winners and losers, and you simply can't win all the time. Playing on GamePoint has to remain a fun. 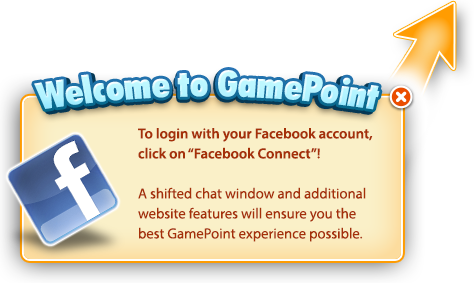 Like yourself, thousands of other players log on to GamePoint to enjoy a few games, have a good time and to relax. So make sure to keep GamePoint a fun experience not only for yourself, but for other players as well. Coin games are only allowed to be played by people aged 18 years or older. GamePoint’s Random Number Generator uses a widely recognized algorithm to generate random numbers which has been certified by Itech Labs (http://www.itechlabs.com.au/), an independent testing company. GamePoint uses the RNG to deal cards, draw Bingo balls and to throw dice. Itech Labs evaluated our RNG and found that the card and number sequences are unpredictable, non-repeatable and uniformly distributed and awarded us with an official Random Number Generator Certificate which can be seen by clicking here. Adjustments to the games does not necessarily mean that the algorithms for the RNG have been adjusted. When the RNG has been adjusted a new evaluation will take place.